Collection Description A description of Henry Newton's journey to New Zealand and five months of mountaineering in South Westland and recording of his meetings with early New Zealand mountaineering notables, including Peter and Alex Graham, Dr Teichelmann, and Herman Osmers (from page 59). 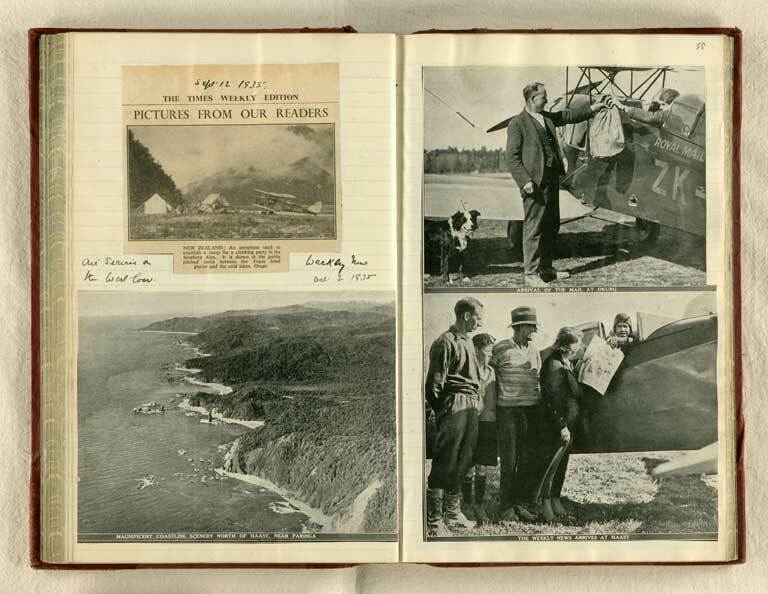 The journal closes with newspaper clippings and photographs relating to the history and mountains of Westland, and notes and maps of passes in the Southern Alps and mountains climbed, and a chronology of trips in Europe, over a period, 1906-1938. The journal details holiday trips and climbs in Switzerland and Austria. A note written by A.J. Scott relating the contents of the journal is mounted on the inside front cover.